Matsy was born of a simple idea: that the world could use a little light-hearted humor these days. Their doormats are high quality coir mats that are durable, long lasting and remain awesome for years. 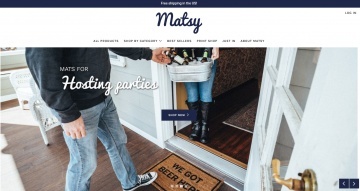 Click a Coupon or click Start Shopping to earn 4% Cash Back at Matsy.